A powerful lineup of world premieres and high-profile revivals have been announced for the 2019 summer season of the Williamstown Theatre Festival. The 65th season of the Tony-winning Berkshires theater company will include a 60th-anniversary production of Lorraine Hansberry's A Raisin in the Sun led by S. Epatha Merkerson, a new translation of Henrik Ibsen's Ghosts starring Uma Thurman, five world premieres, two WTF-commissioned plays and much more. The season will run from June 25-August 18. 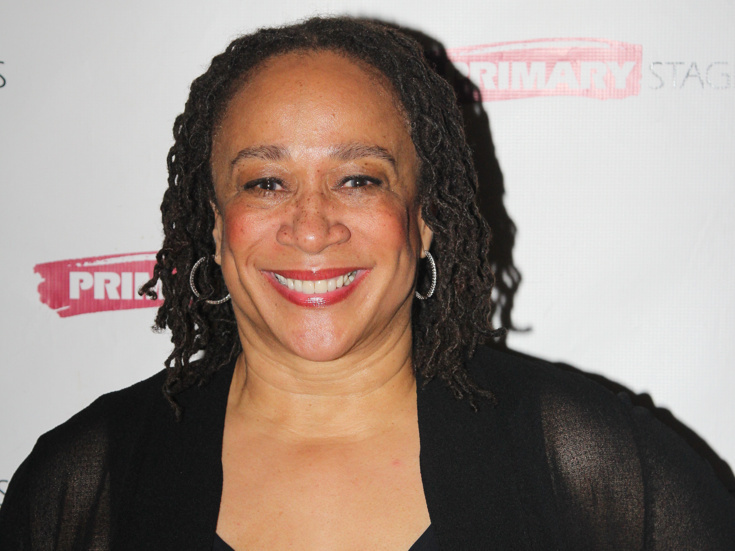 Opening the season will be A Raisin in the Sun (June 25-July 13), directed by Obie winner Robert O'Hara (Bootycandy) and starring Emmy winner Merkerson (Law & Order) and Obie winner Francois Battiste (Paradise Blue). A Raisin in the Sun centers on Lena Younger (Merkerson) and her son Walter Lee (Battiste), who are at odds when Lena decides to use her late husband's life insurance to move her family out of their cramped apartment on Chicago's South Side. Walter Lee would rather use the funds to start a business and become an independent man. As their dispute intensifies, the powerful and destructive forces of 1950s America come knocking at the Youngers' front door. Next up is the world premiere play A Human Being, of a Sort (June 26-July 7) by Jonathan Payne (The Revolving Cycles Truly and Steadily Roll'd), directed by Whitney White (If I Forget). Based on a true story, the play is set in 1906 at the Bronx Zoological Park, where an African-American convict named Smokey is guarding the zoo's most sensational exhibit: Ota Benga, a Congolese pygmy. As the public's fascination intensifies and protestors call for Ota's release, Smokey must grapple with the fact that his own freedom depends on another black man's captivity. Docketed next at Williamstown is the world premiere Selling Kabul (July 10-July 21) by Sylvia Khoury (Against the Hillside), directed by Tyne Rafaeli (Fiddler on the Roof) and featuring Tony nominee Omar Metwally (Sixteen Wounded), Marjan Neshat (Julius Caesar) and Babak Tafti (Small Mouth Sounds). In the play, Taroon (Tafti), a former interpreter for the U.S. military, lives in hiding from the Taliban in the home of his sister Afiya (Neshat) in Kabul, Afghanistan. As Taroon restlessly awaits news from the hospital on the eve of his first child's birth, his brother-in-law Jawid (Metwally) works to protect him from dangers lurking outside the apartment walls. Next up at Williamstown is the world premiere Grand Horizons (July 17-July 28), written by Lortel nominee Bess Wohl (Pretty Filthy), directed by Tony nominee Leigh Silverman (The Lifespan of a Fact) and starring Oscar winner Mary Steenburgen (Melvin and Howard) and Emmy nominee Jesse Tyler Ferguson (Modern Family). The play follows Nancy (Steenburgen) and Bill, who have been happily married for 50 years. But there's one thing nobody could have anticipated: Nancy wants out. As their adult sons Brian (Ferguson) and Ben descend on the Grand Horizons senior living community, the walls of the family as they know it come crumbling down. The next production will be the world premiere Tell Me I'm Not Crazy (July 24-August 3), a WTF commission by Sharyn Rothstein (By the Water), directed by Tony nominee Moritz von Stuelpnagel (Hand to God) and featuring Emmy nominee Jane Kaczmarek (Malcolm in the Middle), Mark Feuerstein (9JKL) and Nadine Malouf (The School for Scandal). The play centers on Sol Koening, who, forced into retirement and unsettled by his changing world, buys himself a gun—and his family is up in arms. His wife, Diana (Kaczmarek), thought they'd spend more time together and with the grandkids, but Sol's new hobby puts a bullet in that plan. Meanwhile, their son Nate (Feuerstein) is trying to be a good stay-at-home dad while his jet-setting wife Alisa (Malouf) climbs the corporate ladder, and school is calling with concerns about their kid. Oscar nominee Thurman (The Parisian Woman) will next star in a new production of Henrik Ibsen's Ghosts (July 31-August 18), featuring a new translation by Paul Walsh (Creditors) and direction by Carey Perloff (Indian Ink). In Ghosts, Mrs. Alving (Thurman) welcomes her painter son Oswald home from years of living abroad. But when he starts to flirt with the family maid, she must intercede to save her son and herself from scandals present and past. The season will close with the world premiere Before the Meeting (August 7-August 18) by Obie winner Adam Bock (A Life), directed by Obie winner Trip Cullman (Choir Boy) and featuring Obie winner Jason Butler Harner (Bernhardt/Hamlet). The play follows Gail and the regular members of her early morning group, who set up for their meeting in the exact same way every day: Nicole makes the coffee, Gail arranges the chairs and Ron complains. As they forge a path toward sobriety and well-being, they come to rely on the routine and each other. But when Gail's estranged granddaughter reopens old wounds, Gail knows it will take more than coffee, chairs and companionship to keep her life from falling apart. Additional casting and creative team members for the 2019 season will be announced at a later date. Since 1955, Williamstown Theatre Festival has brought America's finest actors, directors, designers and playwrights to the Berkshires. Recent WTF productions that transferred to Broadway include Fool for Love, The Visit, The Elephant Man and The Bridges of Madison County.